C'est Magnifique! 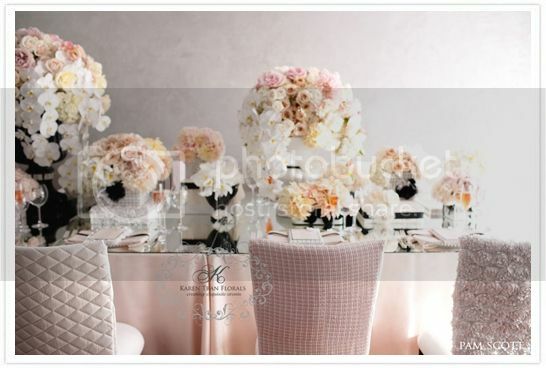 It's the only two words that can describe this tablescape by the very talented Karen Tran. 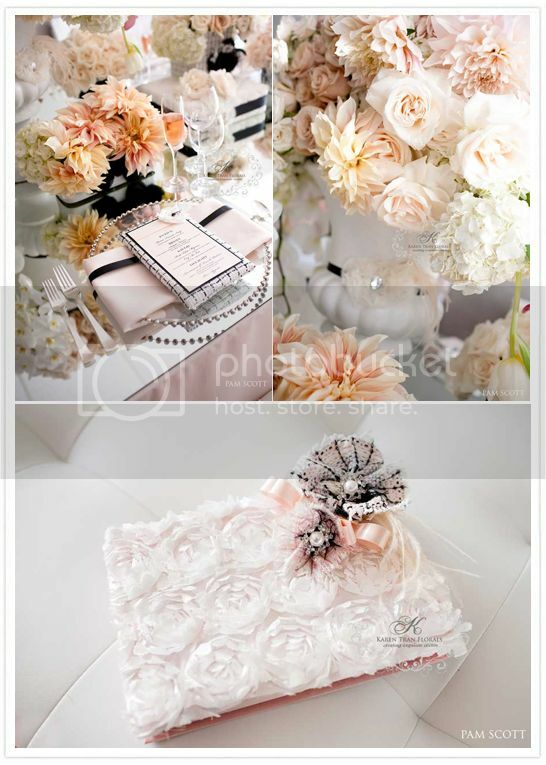 Tweeds, crystals, ruffles and gorgeous gorgeous flowers in full elegance for this Chanel-inspired spread. 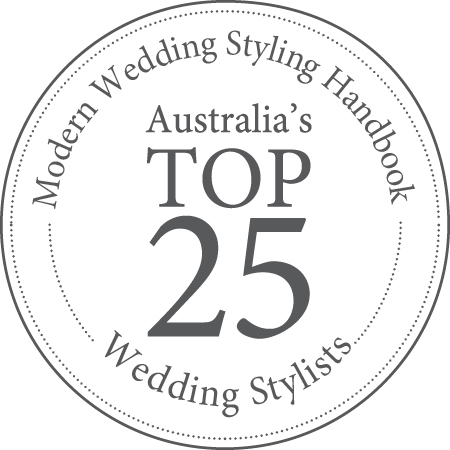 Exclusively designed for Ceremony Magazine 2012, I bet Coco Chanel would be really proud to see this! The custom made tweed-wrapped menus were by Jgrace Stationery. Have I mentioned how gorgeous the flowers are. In case you're wondering what kind of flowers they used. It's cattleya orchids, peonies & cafe au lait dahlias. 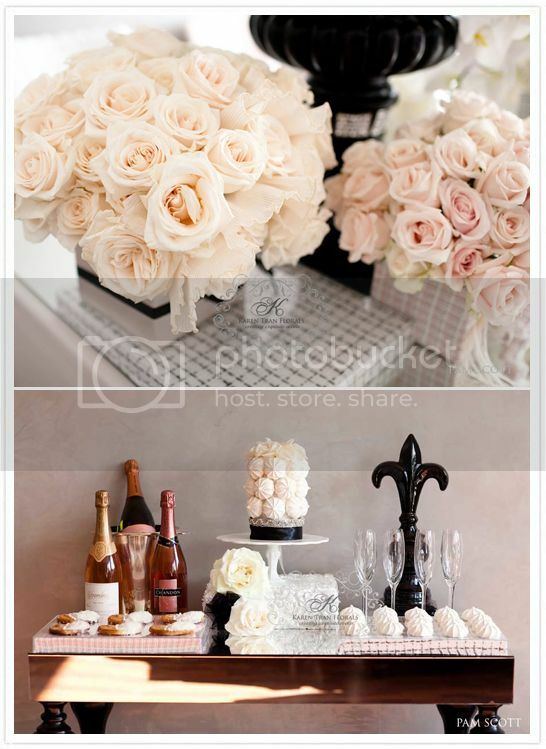 Finished off with a perfect macaroon wedding cake and a very elegant dessert table. I'm pretty sure there'd be caviar in the menu. Très belle! All photos by Pam Scott.